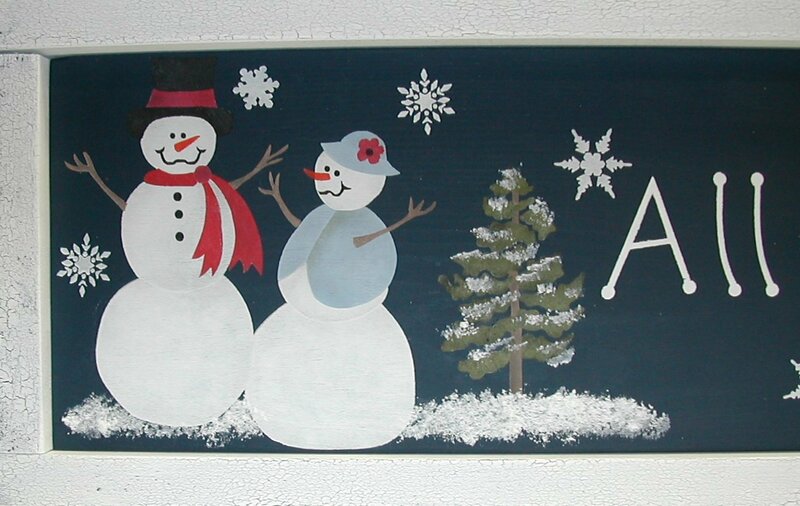 With winter well on its way, this adorable snowman sign will surely melt your heart! 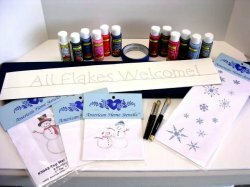 A simple wooden sign stenciled with a snowman mom & dad, snowkids, charming snowflakes, and the humorous phrase "All Flakes Welcome". 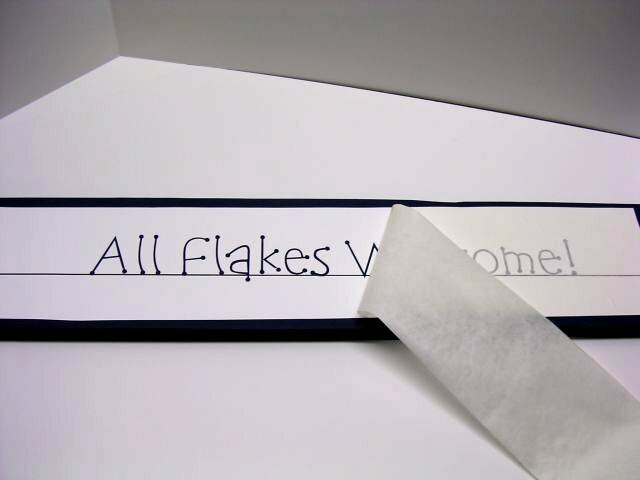 Add a cheerful touch to your doorway, foyer, wall space, mantle, or table. 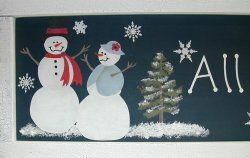 Great for accenting your own home or the perfect gift for friends or family who have everything!! This project is ideal for beginners, taking approximately 3-4 hours to complete. Prepare wood board for painting by sanding lightly, then basecoating with Midnight Blue. Let dry. Position the first overlay of A3043 (Snow Kids stencil) to the right of lettering. Apply White to stencil openings. Repeat this procedure with overlays 2-6, using appropriate colors (see chart below). Position the first overlay of A554S (Tree Stencil) to the left of lettering. Apply the appropriate paint colors to the stencil openings. Repeat this procedure with overlay 2, using appropriate color. Stencil another tree to the right of the snow kids from step 2. Position overlay #1 of A3042 (Top Hat Snowman and Lady) beside the tree to the left of lettering. 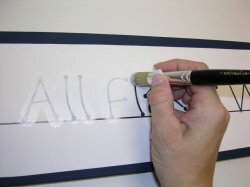 Apply paint to stencil openings using the appropriate colors. Repeat this procedure for overlays 2-6. 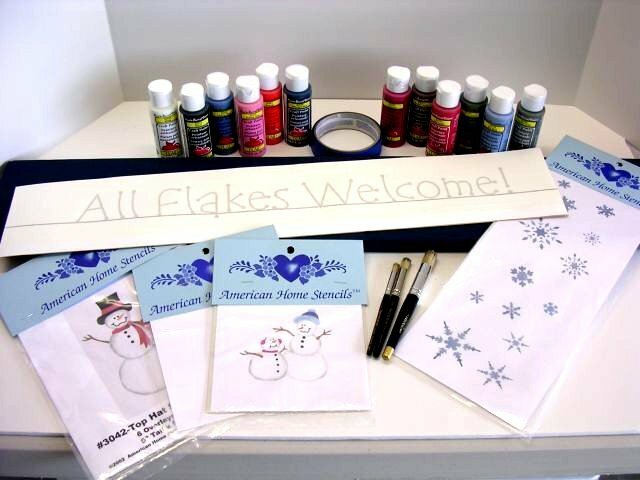 Accent your board with snowflakes from A291 (Mini Snowflakes). 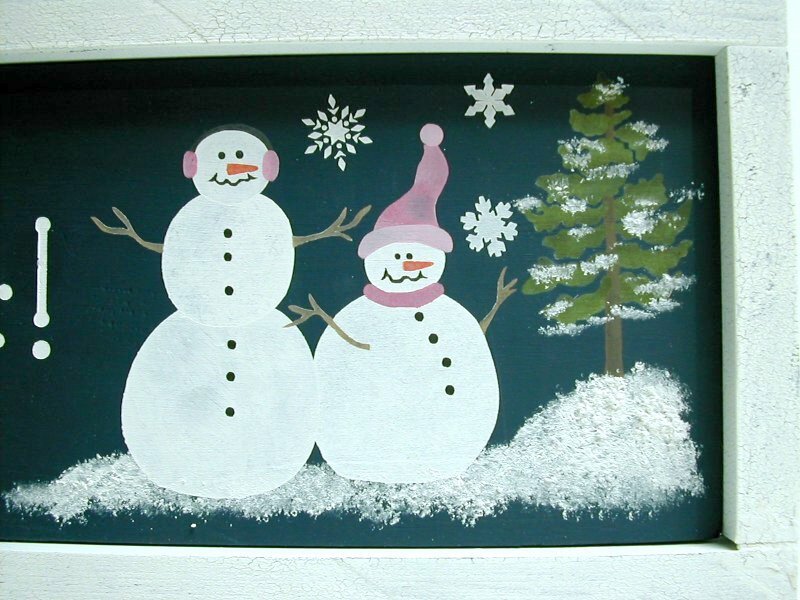 Use White to accent trees and ground around snowmen. Allow 3-4 hours to dry. When adding accent to trees and ground around snowmen, use Sno-Tex instead of White acrylic paint. Use pine accent pieces to frame the sign.